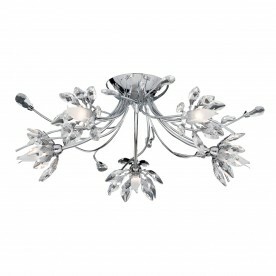 The Hibiscus chrome 5 light ceiling fitting is a stunning centrepiece for any living space, bedroom or dining area. 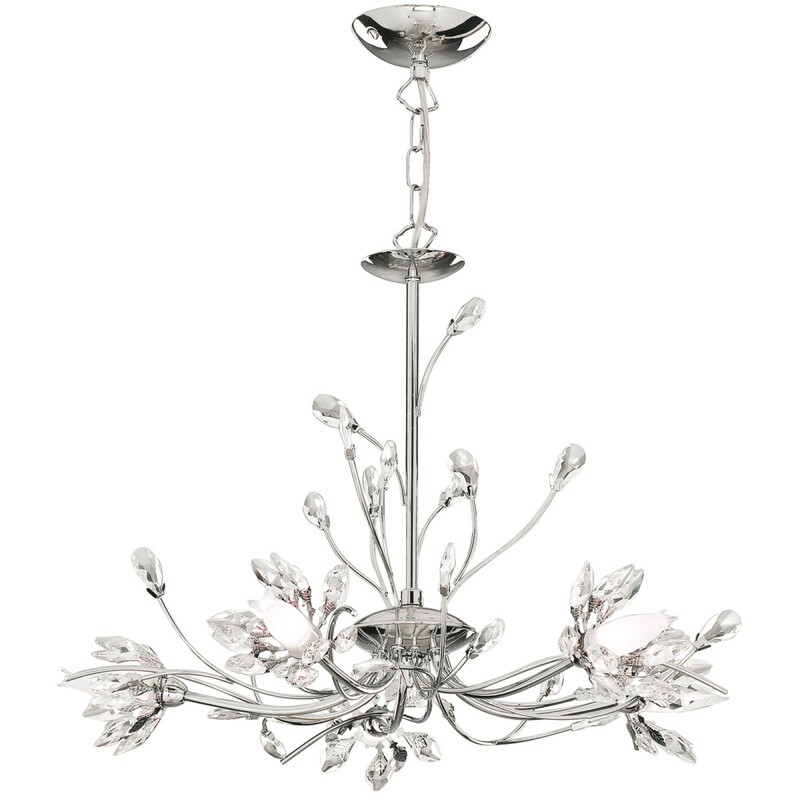 Crystal petals surround the delicate flower bud glass at the end of five stems which branch out from the central plate, with a beautiful, complimentary leaf design to complete the traditional, garden inspired look. 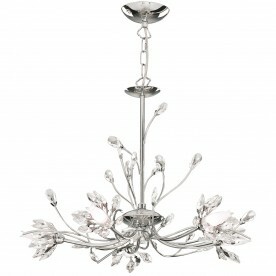 The chain suspension can be adjusted to fit semi-flush to the ceiling or as a pendant light.